Dad On the Run: We don't need a doctor... it's just a piece of bacon. We don't need a doctor... it's just a piece of bacon. Today as I was cleaning up J Bean after her breakfast, I had to take a second look as I thought I was seeing an open wound on her head. In a flash, I was trying to determine how it happened and what action I needed to take. In that microsecond I was also wondering why isn't she crying?? Could this be a serious brain injury!? 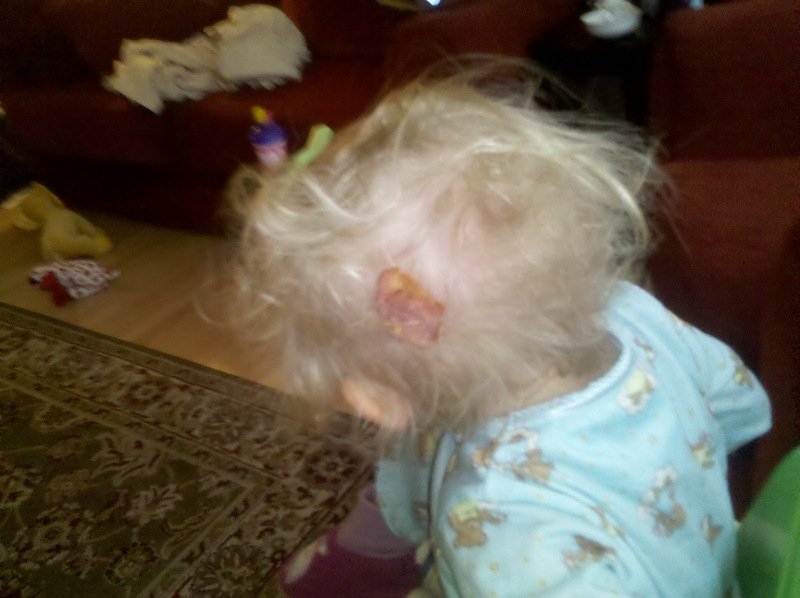 Oh wait... it's just a piece of bacon stuck in her morning hair-do. I know what you're thinking and yes... I ate that piece of bacon. We're talking about bacon here folks.